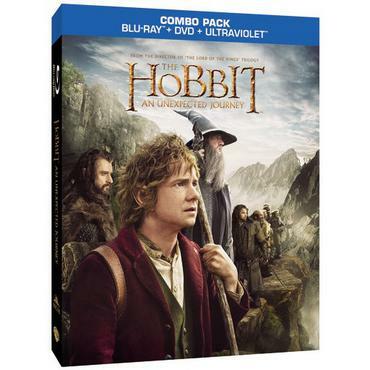 The Hobbit: An Unexpected Journey is coming to Blu-ray & DVD March 19th 2013! I loved this movie, anyone else? • Are You 100% Hobbit Quiz! What has a tendency to be very brave, is around 4 ft. tall with sharp eyesight, little to no facial hair, and loves cake? If you thought we were talking about you, then you might be a Hobbit Indeed! Take the quiz to find out just how much of a Hobbit you are! • The Hobbit Handbook! Our Hobbit Handbook includes everything you need to throw the best viewing party in Middle-earth right at home! One reader will win The Hobbit: An Unexpected Journey Blu-ray Combo Pack! I took the quiz and I am 87% Hobbit. im a 50% short dude..wtf? 17% ....kinda saddens me. I was looking forward to moving into the Shire. 33% Hobbit. I'm clearly an elf anyway. 56% hobbit I thought for sure with my hairy feet I'd be more... Jk I don't really have hairy feet. I am 67% Hobbit!! Loved this movie! !